The RV lifestyle has had a notable resurgence in the last few decades. RV ownership numbers are higher than ever with more than 400,000 new units shipping out this year. Numbers haven’t been that high since the late 1970s! Whether it’s families looking for an affordable, enjoyable way to vacation, or individuals hoping to get back to a more fulfilled way of living, it’s safe to say the RV lifestyle is appealing to many Americans. Unfortunately, modern constraints limit many RV owners from using their rigs as much as they would like to. Hundreds of thousands of RVs sit unused in storage every year. 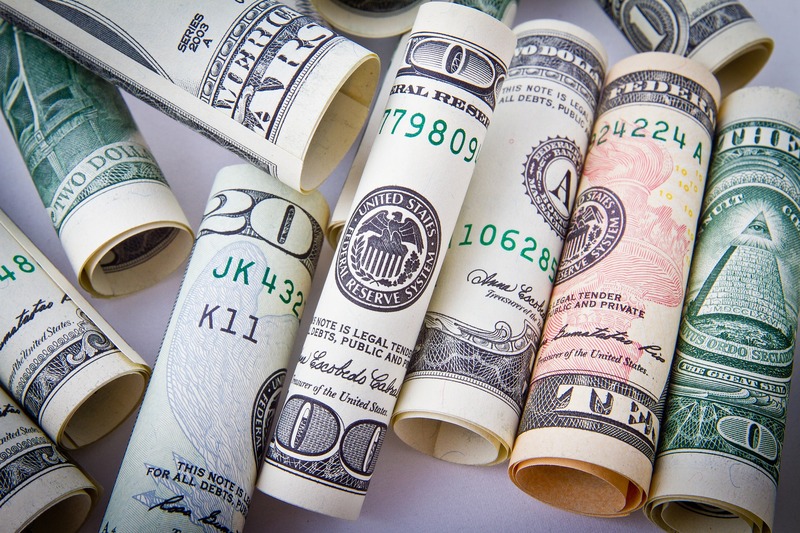 Storage and maintenance fees add up, and can cost $400 a month or more! So, what options do owners have when they can’t afford to pay for RVs they can’t use? One solution is consignment. What is RV Consignment and How Does it Work? Some owners choose to consign because they’re in rural areas and don’t want to deal with advertising and showings. Dealerships have better foot traffic and marketing, meaning your RV will get more exposure than if you sold it yourself. Typically, dealerships will offer a one to three-month consignment period. Consignment fees vary. Some dealers charge a set commission (like 15%), others charge a percentage based on the final sale price. Some dealerships offer extra services, like detailing and tune-ups. You’ll have to pay a fee for these, though. You may want to get insurance on your RV while it’s in consignment. We’ll go over insurance later in this post. You and the dealer will both agree upon a target sale price, and the dealer will collect the extra as commission. So, let’s imagine the fair market value for your Class A RV consignment is $100,000. You agree to list it for $85,000, and it ends up selling for $92,000. In the first scenario (at 10%), the dealer’s commission would be $9,200. In the second, it would be $7,000. In this case, the second scenario is favorable, but you can imagine how there could be problems if the dealer lists the RV for a lowball price. That’s why it’s important to know the true value of your RV if you plan on consigning. Do You Need RV Consignment Insurance? It’s understandable why many RV owners are confused by consignment insurance. You would think that because you have insurance on your RV already, it would be covered while it’s on the dealer’s lot. However, in many cases, insurance companies do not cover RVs while they’re in consignment. It makes for a tough decision. Most dealerships have ample security features, like cameras and gated access, but you just never know. Your RV could still be damaged by fire, during a test drive, or in some other way. If you don’t have consignment insurance, you’ll end up footing the bill. So perhaps the question should be: do you want to risk not having consignment insurance? Should You Consign Your RV? 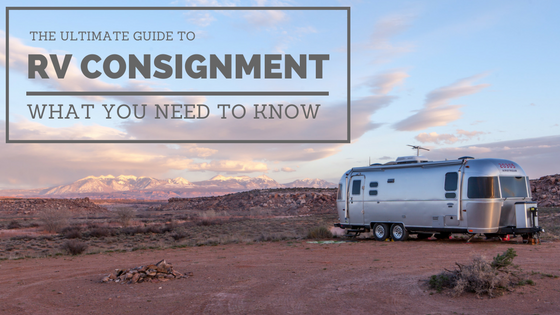 Consignment is a good option if you don’t want to bother with advertising, handling inquiries, and showing the RV yourself. Working with a dealer widens your net – your RV will have more exposure, and you’ll be able to consider buyers who need financing since the dealer will manage that aspect of the sale. Dealers try to get your RV sold fast. If you’re not motivated enough to market the sale rigorously, it could take you a long time for you to sell it privately. The biggest drawback is that you have to pay a commission, of course! You won’t end up with as much money as if you sold it yourself. You’ll have to pay for consignment insurance if you want it. You’ll also have to pay for extra services, like cleaning and prep fees. If you’re not savvy, you could end up losing a lot of money on the RV consignment sale. You’re under contract while the RV is consigned, meaning you’re not allowed to sell it anywhere else. You can’t use your RV while it’s consigned, either. No more weekend trips. Before you make your decision, you should know about a new option that is gaining traction: Peer to Peer RV rentals. P2P networks connect RV owners with people who want to rent RVs. You’ll advertise your own listing and fees, choose who you want to rent it to, and collect money each time it’s rented. Don’t worry – you’ll have the advertising power and liability coverage of a big company. Best of all, you retain ownership and full control of your RV, meaning you can still take it on trips whenever you want. With P2P networks like RVshare, you can make an ongoing profit on your rig, instead of collecting one lump sum. Do they charge a flat percentage, or do they base the commission on the listing vs. sales price? How long is the consignment contract? Do they offer extra services, like tune-ups and cleaning? 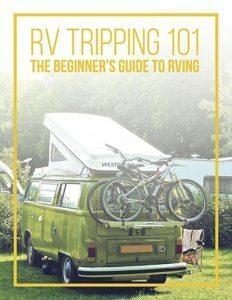 Are there fees to set up your RV? What are the cancellation fees? How much exposure does the dealership have and how aggressive is their marketing? How tight is their security? What do customers have to say about the dealership? By answering these questions, you should be able to narrow down your list to a few of the best dealerships in your area. Try and get it down to just two or three dealers. Then, meet with them in person and get a feel for their customer service. Do your research first. Find a target price and a suitable dealership. Clean your RV and do some light maintenance, like fixing leaky faucets, replacing bulbs, etc. Meet with the dealer to discuss consignment terms and your price. Bring a printout of your pricing estimation. You should also have your maintenance records handy. You’ll agree on a listing price, commission, and consignment term. Don’t forget to ask about extra fees before you sign! Don’t be afraid to call and check in once in awhile – it’ll let them know you’re eager to sell. Family Motor Coach Association has some helpful tips for consigning your RV. You can also search their site for dealers in your area. RV Consignment at Camping World is a popular service. They have hundreds of locations across the United States, so there’s likely one near you. RVT has a nationwide dealer search based on your location. They advertise for hundreds of dealerships. You can look at their ads to get an idea of how well the dealership will market your RV. PPL Consignment specializes in consigning used motorhomes and is the largest consignment dealer in the United States. They have three locations throughout Texas. Consignment RV Sales in Montana was named the “Highest Volume RV Consignment Dealer in the Midwest.” They’re a family-owned business that specializes in selling on consignment. RV Arizona is a consignment specialist service. They’re the number one consignment dealer in Arizona and attract people from the west coast as well. Classic RV in New Jersey is the largest RV consignment service on the east coast. If you’re watching your RV collect dust in the driveway, it’s probably time to do something about it. Consigning an RV is a good option for people who don’t want to manage a sale themselves. However, there are a few disadvantages, like cost and losing the ability to use your RV while it’s on the lot. Another option to consider is turning your RV into a small business and renting it out on a P2P network. You’ll enjoy the freedom of using your RV whenever you want while you still make a profit on it! Would you consider renting your RV before consigning it? Do you have experience consigning? Share your thoughts in the comments!